You are here: Home » Barbarians Unite! 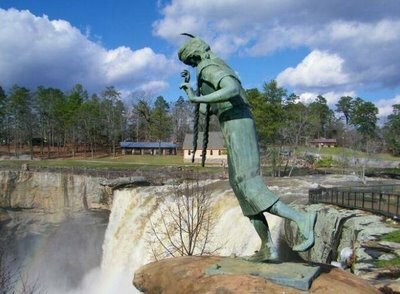 This past weekend I traveled to Gadsden, Alabama to take part in the Barbarian Challenge. It was my third year to run in the race and I had the absolute worst finishing time ever for me, but it was also the most fun, most rewarding, and most moving race I’ve ever been a part of. 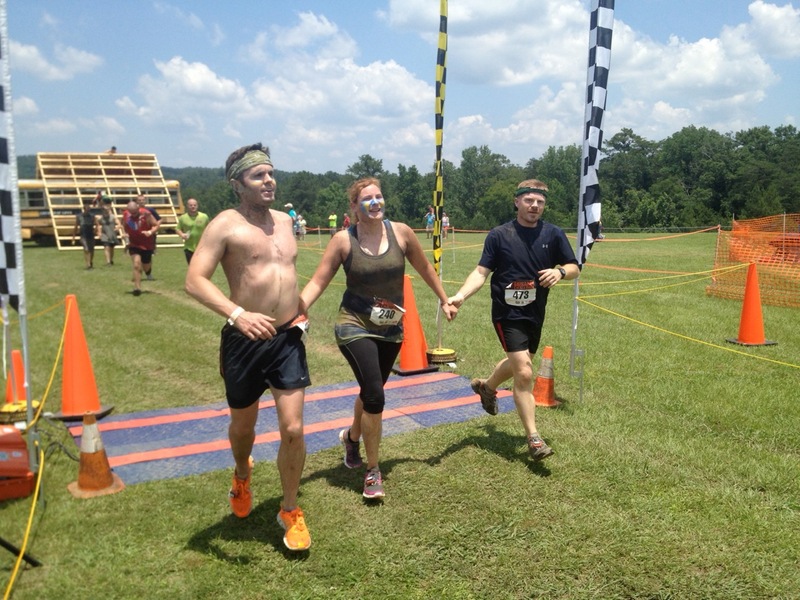 The Barbarian Challenge, though, isn’t about true love or suicidal tendencies. It’s about mud, and pushing yourself beyond your perceived limits. 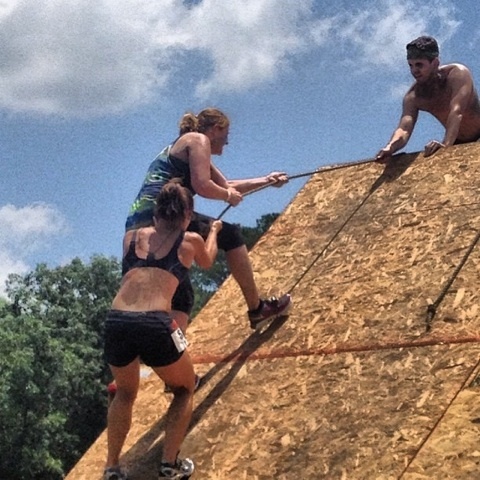 The Challenge isn’t your typical Warrior Dash style mud run. 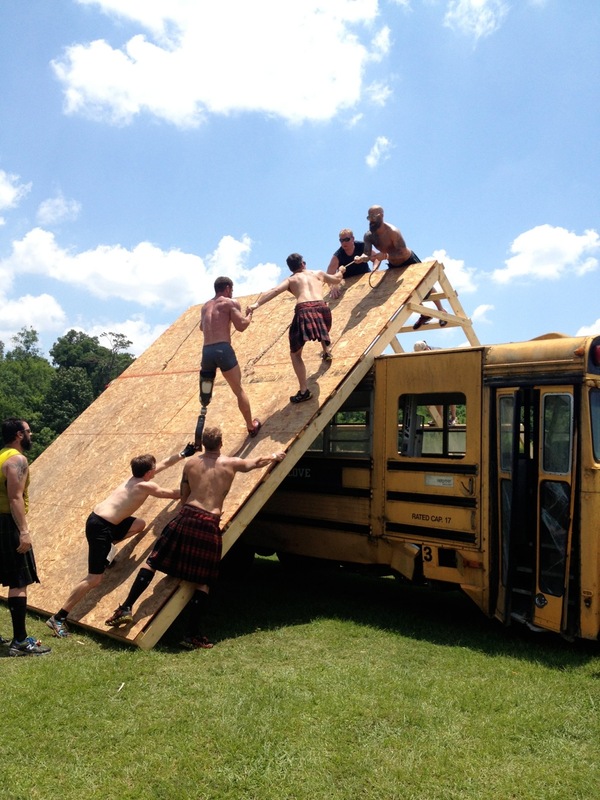 I overheard someone say that the Barbarian Challenge made the Warrior Dash look like a walk in the park. Whereas most mud runs are glorified obstacle courses, the warrior dash is a combination of an obstacle course, cross fit class, 8k run, trail run, and swim. It’s tough. The majority of the run is through the woods, along trails, up steep embankments, over the foothills of the Appalachian Mountains. The first year I ran, I really had no idea what I was in store for. As a novice runner who could barely cover 5k without a break, a friend was going to run the race with me. He promised he would stay with me and make sure I finished. As soon as the race began, though, he took off and completely deserted me. It was a long hard slog to get to the finish line. The second year, I ran with another friend, and he and I stayed together and finished at the same time. It was a great feeling. Because of that, this year, I decided to round up/sucker a group of my friends into running the race. It turned out to be the best thing I could have done. We didn’t stay together during the race, but I felt responsible for making sure everyone finished. When the racers took off, we were in a pack running through a clearing, scrambling over a junkyard of beaten up cars. That was followed by a run through a field that slowly lead us down into the woods, over small walls, under barbed wire, and eventually to a creek that we crossed. While at the creek, I fell behind and made sure everyone from the group was keeping up and cheered them on as they went past. One of the group was already having problems. She hadn’t had the opportunity to train as often as she wanted to in the weeks leading up to the race and she was dragging. I decided I would run the rest of the race with her, pushing and encouraging her to get to the finish line. As she and I climbed out of the creek, another person from our group had taken note of us and had waited for us on the bank. He decide that he, too, would run with us. As we moved through the course, up and down over the hills, zig-zagging back and forth through the woods, we all soon saw what was taking place just ahead of us on the course. There were a group of U.S. Army soldiers running the race with us. One of them had lost his leg and an arm due to an explosion. His friends were encouraging him and helping him every step of the way. He had trouble finding footholds as we walked through the sections of the creek, but his buddies moved slowly and he held onto their shoulders. Some of the steep climbs were difficult for him to maneuver on, but his fellow soldiers used their own bodies, allowing him to climb on them to get to the top. This was especially true at the end of the race. 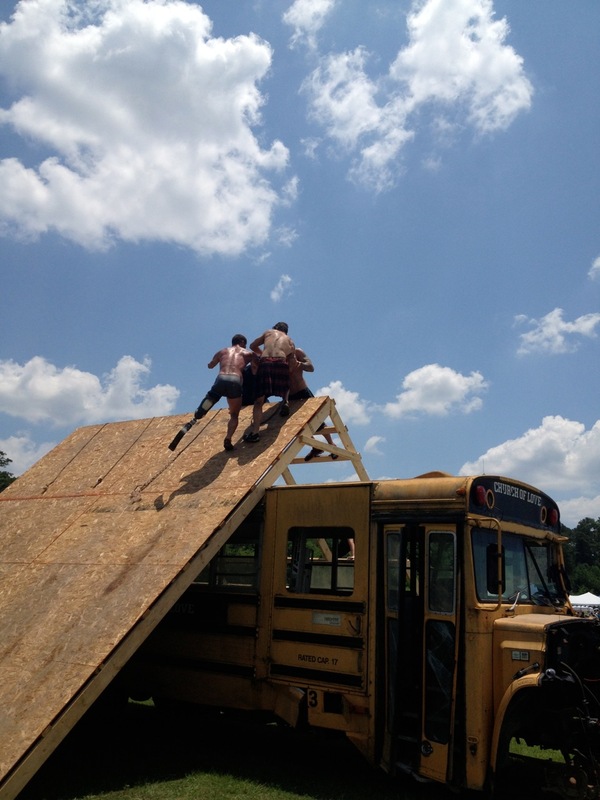 The last obstacle was a school bus. A steep ramp had been placed on the side of the bus, and the only way to get to the top was to sprint to the ramp to get half way, and then to grab a rope and pull yourself over. Again, the soldiers used their bodies to allow their friend to climb over, but then they began helping other people that were having trouble. They weren’t concerned about time, or where they were going to place, they were there for the experience. Watching them, profoundly moved me. It occurred to me that almost everyone there was helping someone else. From pacing yourself with a complete stranger and encouraging them, and they, in turn, encouraging you, to helping someone climb a wall, or just clapping for someone that did something that for them was really challenging, the race was actually something more than just a “race.” It was a condensed microcosm of humanity at it’s best. People were pushing through, overcoming limits, and they were all doing it by working together in a positive environment. It’s interesting. Each of us on the course on Saturday, paid for the experience. If we willfully applied that mindset to our own lives on a regular basis, the barricades we could overcome would be awe-inspiring. Thanks Barbarian Challenge, and we’ll all see you next year! ← 25, 40, and a Hint of the Future! Nice post. I wonder if the soldier was Noah Galloway? It looks like him. He has spoken to our kids at VHHS before for Veterans Day. Great rundown. I love the physical exertion and the thrill of running well, but I have to agree that the best part of the race is the camaraderie that develops among total strangers on the course. Great write up on the real deal behind these events!! Thank you for explaining in a way that could perhaps spark the interest of other possible barbarians!!! Great summary …our little group of four was with those guys most of the way … Just amaZing the fortitude it showed ! And yes finding and making friends along the way was enjoyable…. Everyone work well together all day ! I loved the race and I have so many “battle” wounds it’s crazy! I saw the wounded soldier and I saw people of their 60’s and within each group I saw the same…everyone was offering a hand and encouraging each other, I had so much encouragement from random strangers–it was the most physically demanding event I’ve ever attempted and if not for the support and the hands of my fellow barbarians I would not have had the courage to move forward–I can’t wait until next year!! It was a great experience all around!